Play Madly Wild online for free now! Sweet! 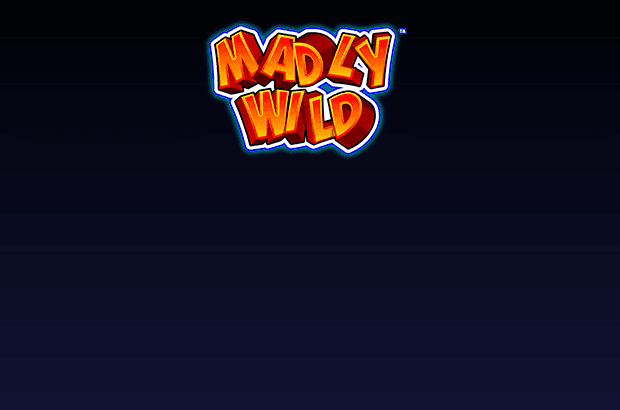 At first glance the slot machine Madly Wild looks like a typical Novoline fruit slot. But if you take a closer look you'll realise why so many players love Madly Wild. This Novoline slot offers plenty of settings options, Wilds, the popular Gamble feature and much more! Here, we're giving you a brief overview of what to expect in Madly Wild online. And there's more: thanks to our virtual currency, the Twists, and plenty of bonuses you can in many cases play free in our online casino! 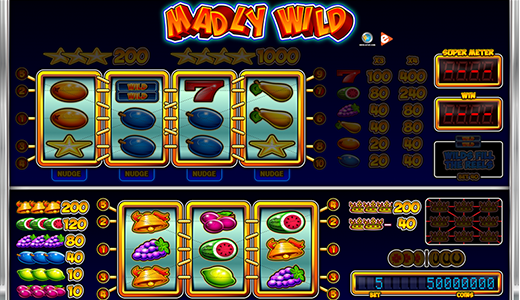 The fruit slot Madly Wild features two game modes: the basic game (3 reels, 5 win lines) and the top game (4 reels and 10 win lines). You enter the top game by filling the Supermeter display with enough coins (the Twist value of which is shown in the game). The chances of winning increase in the top game because of additional Wilds landing on the reels and substituting other symbols for winning combos. The best winning chances? In the top game! One of the coolest things about the slot Madly Wild is that you decide how much risk you are willing to take. If you are happy to unlock the higher game mode you can transfer coins won to the “Supermeter”. As soon as you have reached coin value 20 in the “Supermeter” you are able to switch to the top game and play with 4 reels, 10 win lines and Wilds (can replace symbols for winnings). Things are really heating up if you decide to play Madly Wild online with coin bet 40. This triggers the “Wilds fill the reels” feature. This is how it works: when 1 or 2 Wild symbols land on a reel it moves along (Nudge) until 3 Wilds have landed. This will boost your chances of winning! Some important info for the Supermeter display: it is limited to 2,000 coins. If you exceed this amount, coins are transferred back from the Supermeter to the regular coin display until the Supermeter shows less than 200. Madly Wild is rocking our online casino! We only want the best slot machines for our range at GameTwist. And there's no doubt that Madly Wild is one of them! This slot machine looks superb on a computer, smartphone or mobile as well as a tablet and is easy to play. Moreover, Madly Wild online is anything but boring. On the contrary: thanks to the topmeter you might play with a bigger reel set and additional Wilds for larger winnings. We love casino games. And we love for you to have loads of fun. That's why our games are played with a virtual currency called Twists which you might pick up free in one of our many promotions (i.a. Daily Bonus and Time Bonus). Which game will you pick? Enjoy Madly Wild online and countless other games now, and - with a little luck - fetch incredible winnnings! The Crown symbol (Scatter) in the basic game can earn winnings in all reel positions.